Out-of-the-box gift idea: a trip to Omaha for a world-class sporting event. Omaha is a golden ticket to see some of the country’s best athletes compete for greatness. Every June, top college baseball teams take the road to Omaha for the NCAA Men’s College World Series. This bucket list event has called Omaha home for more than 60 years, and college baseball fans turn the downtown area into a tailgating hub. Possibly the ultimate display of competitive spirit between rider and horse takes place during The International, Omaha’s world-class indoor jumping and dressage competition. Competitive horses continue to impress at Horsemen&apos;s Park. Considered one of the finest simulcast facilities around, it&apos;s a fun place to watch and wager on horse racing from top tracks across the country. 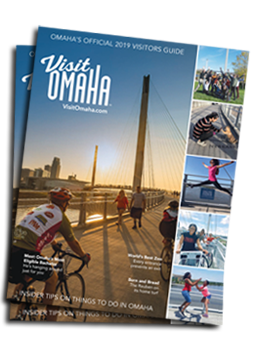 Omaha’s resume is filled with impressive sporting events, including the U.S. Senior Open, NCAA Basketball, Volleyball and Wrestling Championships, U.S. Speed Skating, FIVB and NORCECA Women’s International Volleyball, the National Veterans Wheelchair Games, and the U.S. Olympic Swim Trials (2008, 2012, 2016, and 2020). Click on the boxes below and decide who deserves a pair of golden tickets.